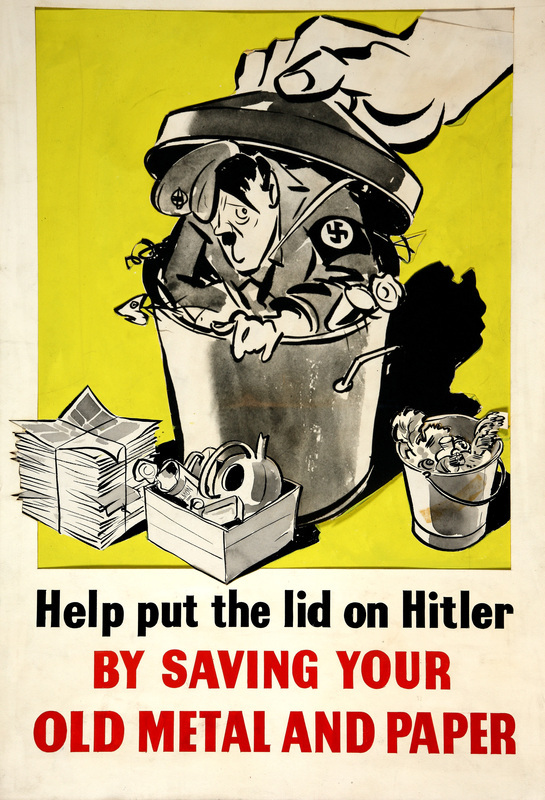 With our current focus on recycling, it brought back to me memories as a five year old during the war in 1944. Along with my four sisters, we collected newspapers and tin cans to bring to Woodlawn Grade School for what was called newspaper and tin can drives. I remember the girls gymnasium being filled up with heaping piles of newspapers. It was quite a chore to take out your aggression, if you had any, on flatly stomping out tin cans. They also wanted fat renderings, which generally was what households saved from steaks, roasts, ham and bacon drippings that we used to fry with. We always fried our food with those drippings and used it as well in baked foods. I had heard that it was used to make bombs. Another usage for the war effort was to recycle 78 rpm records and bowling balls. After the war they still wanted newspapers and flattened tin cans but that didn't last long. The boom was happening, the suburbs were being built, mid century modern, fast food burger drive ins, plastics and synthetic fabrics were happening and supermarkets were on the horizon. The rationing days of going without was at last over. It was time now for America to rise up from deprivation and enter into the future of the good life! The older generation, however, knowing of hard and difficult times with large families to feed on meager diets lacking in little nutrition and nice clothes to wear, still saved butcher string to add to their large balls of string, rubber bands for their rubber band balls, sugar and flour sacks they used to make sheets and pillowcases and tea towels, often enhanced by creative handmade embroidery. Many of the older people having struggled during those hard and difficult times were so affected that they became hoarders for fear of having again at some time to be left without.